More chefs are making dishes from scrap ingredients, as zero-waste cooking trends to No. 3 in the National Restaurant Association's "What's Hot" report. Challenge accepted. Swope’s “Broccoli Tots” combine ground broccoli stems with goat cheese and seasonings, balled together and then breaded with panko and fried. A favorite at the three Teaism locations, the dish is featured in the “Trash or Treasure” section of the restaurant’s menu, which highlights items made from ingredients that would otherwise be wasted. 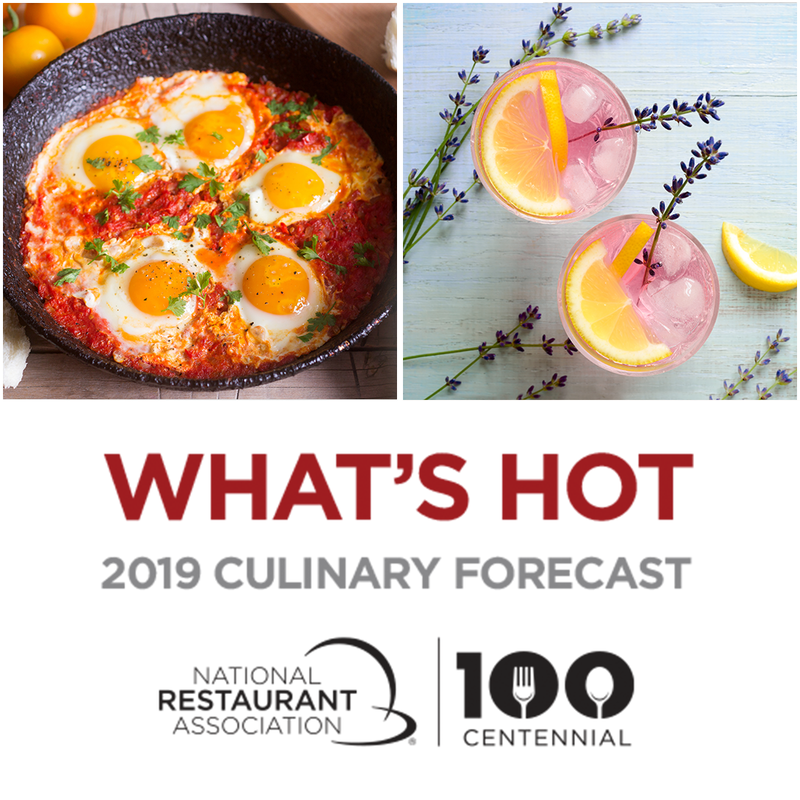 This type of “zero-waste cooking” is one of the top trends for 2019, according to our latest What’s Hot Culinary Forecast. Teaism’s “Trash or Treasure” selections elevate traditionally wasted items to culinary delights and incorporate ingredients trending high in the “What’s Hot” survey. “Cabbage Butts Stir Fried in Gochujang,” features the spicy Korean paste that’s trending at No. 4 among condiments. “Seared Salmon Belly” is served with collard stems pickled in a brine of herb trimmings. House-made/artisan pickles ranked fifth in the “dishes” category. According to the USDA, 30 to 40 percent of food produced in the United States ends up in the trash. As consumers become more aware of the issue, many choose eco-friendly dishes. “In the past two years, the issue of food waste has really entered people’s consciousness,” says Lela Singh, Teaism’s social media manager. The inspiration behind Teaism’s “Trash or Treasure” menu is Chef Dan Barber, who converted his New York City restaurant Blue Hill into a pop-up called WastED for three weeks in 2015. Devoted to the theme of food waste and food re-use, WastED featured damaged apples, rejected-carrot mustard, kale ribs and fish heads. At New York City’s Graffiti Earth, Chef Jehangir Mehta is so committed to reducing waste that he procures “trash” from others. He gets broccoli trimmings, leftover greens and other scraps from nearby vegetarian restaurant Dirt Candy. He breathes new life into used coffee grounds from local Birch Coffee, cold steeping the leftovers to flavor his homemade coffee ice cream. Mehta sees the beauty in “trash fish” and “ugly produce.” He features broken scallops that would otherwise be trashed in his “Scallop Brûlée.” He buys “ugly produce,” like misshaped tomatoes and spotted zucchinis, from the farms he works with. He frequents farmers’ markets at the end of the day, reaping leftover produce at high discounts — sometimes even free. Mehta is at the forefront of the sustainability movement, but he isn’t alone. More than half the chefs surveyed identified “ugly produce,” and “trash fish,” as “hot trends,” as they did for “root-to-stalk’ and “nose-to-tail,” which uses the entire plant or animal. Chefs are also tapping into eco-friendly sourcing of their foods. Plant-based proteins, which require significantly fewer resources to produce, claimed the No. 2 spot among protein trends. Locally sourced meat and seafood, which require less transport and have a smaller carbon footprint, took the No. 3 spot, followed by sustainable seafood at No. 4. Mehta attributes the trend to increased awareness among consumers. “This generation is taking much more interest in global warming.